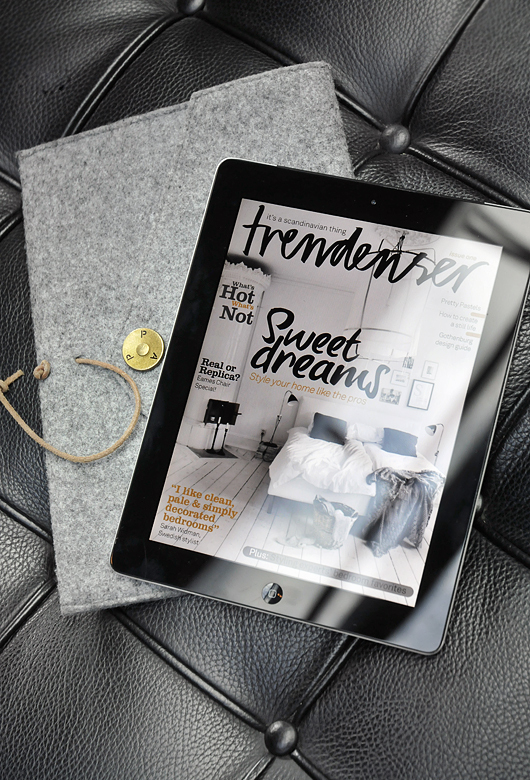 Have you seen this new monthly magazine for iPad Frida Trendenser has launched? It's pretty impressive - a blog/magazine of sorts - but not only is the content good, the iPad interface is one of the coolest I've seen yet. You'll have to take a look to see what I mean, but not only is video embedded but there's a lot of fancy tabs and arrows that do tricks. Check it out here. Sounds great! I go take a look! thanks for introducing me to this magazine!! I'm always looking for new great finds! I love lonny and rue, but I'm excited to check this one out! !